The firework display in London to mark the passing of the HS2 Bill was the biggest since D Day. An estimated half a million people thronged the Thames to view the pyrotechnics. In Trafalgar Square, tens of thousands of people heard speeches from the mayors of the northern big cities and stood attentively for three hours in the rain in an event that would have done Kim Jong-Un proud. Except, of course, none of this happened. The passing into law of the HS2 Bill was something of a damp squib – to continue the firework analogy – with only odd short press release and a few small stories in the national press. There was no ministerial appearances on national TV and radio, and no one to talk the project up. Admittedly, it was a busy time for Brexit and Trump news, the two issues that dominate the airwaves at the moment, but nevertheless the scant coverage for the biggest infrastructure project this country has ever seen shows how the scheme has completely failed to capture the imagination of the public. Indeed, the public’s knowledge of the new railway is scant and there is surprisingly little enthusiasm for it. Even the industry seemed hardly interested. The Rail Delivery Group (ed: what’s that?) only managed a three paragraph extremely banal release. As well as lacking a champion to speak for it, now that Lord Adonis has disappeared from public view, the project also desperately needed a well-organised and funded opposition. Sure, there have been the worthy efforts of the Stop HS2 campaign but this has always seemed like a Nimby exercise rather than one rooted in a wider analysis of what was wrong with the scheme in terms of a national transport strategy. The best effort came from the HSUK people who devised what was a much more coherent alternative, but they rather missed the boat by not getting in early enough. This has meant that not only have the basic tenets of the scheme never been properly challenged, but also the details have not received sufficient scrutiny. Phil Haigh, in the last issue, rightly pointed out that the Bill is extremely detailed, setting out, just to give one obscure example, that the Scottish Government can undertake work on Phase One if necessary (why it should want to do so is unclear). However, the basic principles of the Bill did not receive sufficient challenge. Take, for example, the capacity of the line. There has been much confusion over this, not least from HS2 Ltd itself. In evidence to Parliamentary committees, David Higgins, the chairman, said that because the trains would go faster, the capacity was greater. This is, in fact, is not the case. While intuitively it would seem that if the trains go faster, more would be able to get through, especially as there will be moving block signalling (in other words no external signals but instead a system that will allow trains to travel at safe distances from one another), that assumption is wrong. That’s because the relationship between stopping distance and speed is not linear. The braking distance increases by the square of the speed. So at low speeds, the time taken to cover a fixed distance is longer but because the braking distance is less, the blocks (whether moving or fixed) can be shorter. Remarkably, Simon Kirby who moved from Network Rail to go to HS2 as chief executive (though he has now departed for the more lucrative climes of Rolls Royce) made the same mistake telling the Public Accounts Committee that ‘because the speeds are lower, the capacity is less’. The issue of speed has also not been considered properly. Most high speed railways operate at 300 kph but HS2 has been designed to 400 kph. This makes it far more expensive – perhaps as much as 20 per cent – and makes the route design less flexible. The initial trains will run at 360kph but HS2 ‘s chief engineer Andrew McNaughton has argued that there is a need for future proofing. Why? 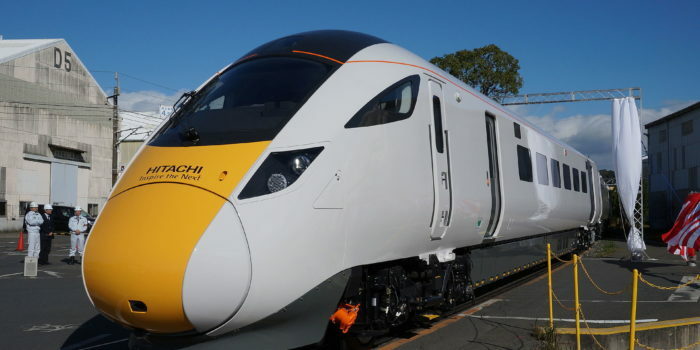 We are a small country, 400 kph running, which will not be possible on some sections anyway, will shave possibly a four or five minutes off the journey to Manchester or Leeds. Given that even at 360 kph, the trains will be far faster than any possible alternative, this decision has been allowed through without proper consideration. One reason, of course, is that time savings are the key determinant of the business case. The ‘benefits’ of the line used in the business case are mostly obtained by the small time savings millions of people will make which have then been given a monetary value. This nonsensical, archaic and plain dumb method is the basis of WebTag, the Department for Transport’s methodology for big projects. To get a big positive value, the time savings had to be large which then, in turn, determined the need for the higher speed. This highlights that one of the lessons learnt from this project should be the creation of a new methodology for determining whether schemes should be given the go-ahead. I have given this a lot of thought and will set out my ideas in a future issue. The biggest missed opportunity of the whole process of committing the nation to this mega scheme is that there was a failure to assess what Britain’s transport needs really are. Rather than starting, as it did, from the notion that we needed a high speed line because, well, because everyone else is getting them, there should have been an appraisal of the whole concept within a transport strategy. It should – and Labour or the Libdems should have done this – have been couched in very basic terms: is this good for the environment? Is it good for the economy of the whole country? Will it really relieve congestion? – and so on. Instead we had the largely ignored Eddington report nearly a decade ago which actually said we did not need a high speed railway. My main objection has always been environmental. This line, especially if it is run at 360 or even 400 kph, will not reduce our carbon emissions. Quite the opposite. Given that climate change is the biggest threat facing humankind, spending upwards of £55bn on a scheme that offers no such benefits is, frankly, bordering on the criminal. It is ‘real fiddling while watching Rome’ burn stuff. I have little doubt that the scheme will now be built – or at least the first phase, which incidentally offers fewer benefits than the second, will. However, I doubt whether our grandchildren will thanks us for doing so. A few weeks ago, I travelled on a line I had not realised still existed, the service across the north of the Midlands between Derby and Stoke. There is a one hourly service provided by a single coach pacer and goes right past Uttoxeter raceground through very pleasant countryside. At times the train which goes through to Crewe was pretty full and the conductor was kept busy. While it was very enjoyable for me to travel on a new line (I am not a track basher but I must have travelled on around 90 per cent of the network, with a few gaps such as Middlesborough to Whitby, the West Highland Line and a couple of the Cornish branches), this was clearly an example of a railway that was underused because of a lack of investment. The roads between towns in the Midlands are crammed and often congestion greatly extends journey times, and the railway could be a genuine alternative, but not with a one hourly service that potters along at 30 mph or so on average. Therefore it is heartening to hear that the umbrella group for the local authorities, East Midlands Councils, is pushing to improve the services in the region. The Invitation to Tender for the East Midlands franchise is expected to be published in the late spring/early summer and the councils are pushing hard to see a step change improvement in the regional services. They want to see regular and faster services between the main four cities – Lincoln, which has a terrible train service at present, Derby, Nottingham and Leicester. This would create a kind of hub and spoke system that would make many parts of the region far more accessible by rail. Two further crucial aspects are to ensure that the quality of the rolling stock is much improved (farewell Pacers) and that it is a seven day railway, offering frequent and regular services throughout the day. The idea is to encourage the franchise bidders to come up with plans to bring this about. This is so often a neglected aspect of our railways. The minor lines are left pretty much to their own devices but when they do get investment, they regain their role as a major part of the local infrastructure. As I wrote last year, I was really struck by how the Avocet line (Rail 804) between Exeter and Exmouth, saved by the skin of its teeth from Beeching, is now a vital part of the local infrastructure carrying hundreds of thousands of people annually. There are dozens of lines like that around the country and it is essential they are not forgotten in the rush to pour concrete for HS2. They would do far more for regional development than HS2, which will simply make Britain even more Londoncentric ever will.